The Lord has risen. Alleluia! Rejoice! for the Lord has been raised from the dead. He is our hope and our salvation. Last week, throughout the Holy Week, we reflected upon the passion and death of Jesus. Yes, we always remember and honor the Passion of Jesus because our glory is the cross of our Lord. But we are not people of suffering and death. We are people of life and of hope. Jesus Christ has risen from the dead to give us life. We celebrate Easter this year with a little anxiety for the future. Our nation economy has been better but still challenging our family’s finance. The world leaders are still struggling to maintain peace and foster a fair and proper economic system for all the nations. Violence, hatred, security and terrorism are still the issues which concern our family. Yes, we come to Church this Easter with fear and worry, but we are seeking hope. Hope is here. Jesus Christ has risen from the dead. He has triumphed over the power of sin and death. He has won. We have won with him. Death has been conquered. The new world has begun in Christ. United with Christ, nothing and nobody can destroy us. The celebration of the Resurrection of the Lord is the celebration of our hope, our joy, our sharing in the New Life of Christ. The tomb is empty because Jesus has risen. But the world of those who believe in Jesus is full with hope and joy. “Do not be afraid,” Jesus says to each of us today. There is great reason to hope. Jesus Christ, our hope, has risen from the dead. 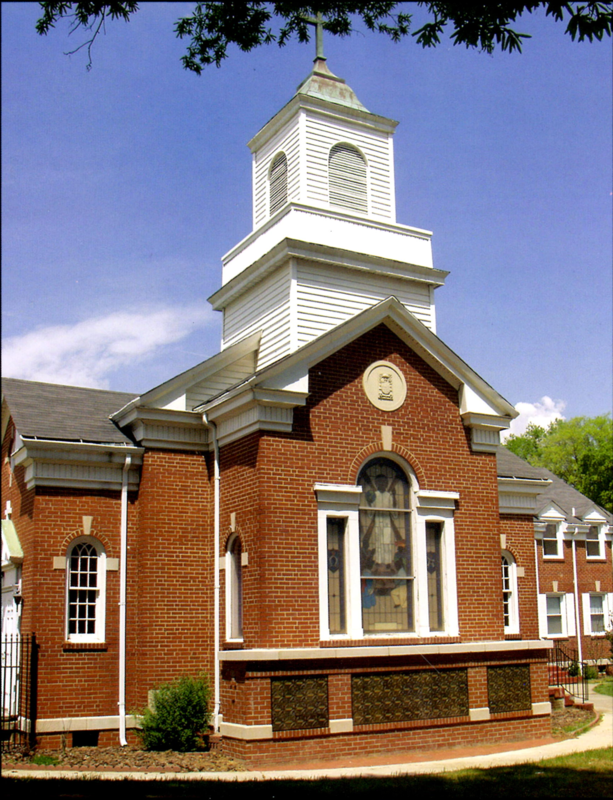 Christ the King Church was founded in 1940 to serve the African-American Catholics in High Point, and has since become a multi-ethnic parish celebrating both the diversity and unity of the Catholic faith and tradition. Then-Bishop Eugene F. McGuinness of Raleigh invited the Franciscan Friars of the Atonement of Graymoor, NY to staff the new mission in High Point in 1940. Father Bernardine Watson served as the first pastor, originally celebrating Mass in a funeral home. Through the generosity and perseverance of Father Watson and several benefactors, a clothing shop was acquired for use by the mission. While Mass continued to be celebrated there during much of 1941, the mission community members also turned their attention to building a new church and rectory on Kivett Drive. The new colonial-style church was dedicated by Bishop McGuinness Dec. 14, 1941. During the 1940s and into the ’50s, the Christ the King parish community continued to grow. A school building and convent were built in 1949, and in 1950 the Franciscan Handmaids arrived from New York City to staff the school. The African-American communities, both Catholic and non-Catholic, of High Point, Thomasville and Greensboro were served by the new Christ the King School, which opened its doors to 50 students in September 1950. 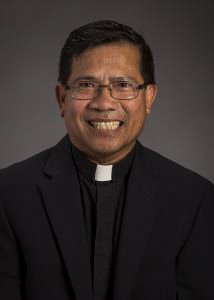 The friars continued their pastorate in High Point for the next several decades, cultivating a faith community that became continually more culturally diverse over time. A stained-glass window behind the church’s choir loft depicts that diversity, with Jesus surrounded by four individuals representing the African, Asian, European and Indian bloodlines that make up much of the parish community today. Lowering enrollment, financial difficulties and the recalling of the sisters to New York forced Christ the King School to close in 1981. The diocesan office of education converted the school for use as a day care center, which began its operation in August 1981. That same year, Franciscan Sisters of the Atonement arrived at Christ the King Church to conduct the religious education program and other ministerial work, including assisting at the day care center. The center, still located on parish grounds, is now privately operated and continues to serve the area. Upon the friars’ leaving High Point in 1991, Christ the King Church became a diocesan parish in December of that year. Fathers Martin Madison and John Hoover served the parish until December 1994, when Father Philip Kollithanath, was appointed to Christ the King Church. Assisting in the advancing growth of the Christ the King community have been many commissions and ministries focusing on the spiritual , educational, multicultural and evangelical dimensions of the parish. Parishioners gather to engage in Bible study , to learn English as a Second Language, to put their faith into action in the local community and to celebrate their ethnicity. A Hispanic center and bilingual religious education program provide sharing and learning opportunities for English and Spanish speaking parishioners, and the parish African-American Ministry offers outreach programs benefiting the local region. The Women’s Guild, Altar Guild, 55+ Club and Young & Spirited Group are active in parish and community services, and the evangelization commission provides for the spiritual needs of homebound parishioners through its Visitation Ministry. The community of Christ the King Church looks ahead to expansion and renovation projects that will accommodate the needs of a growing parish. One hundred and sixty-one households currently make up the parish registry.